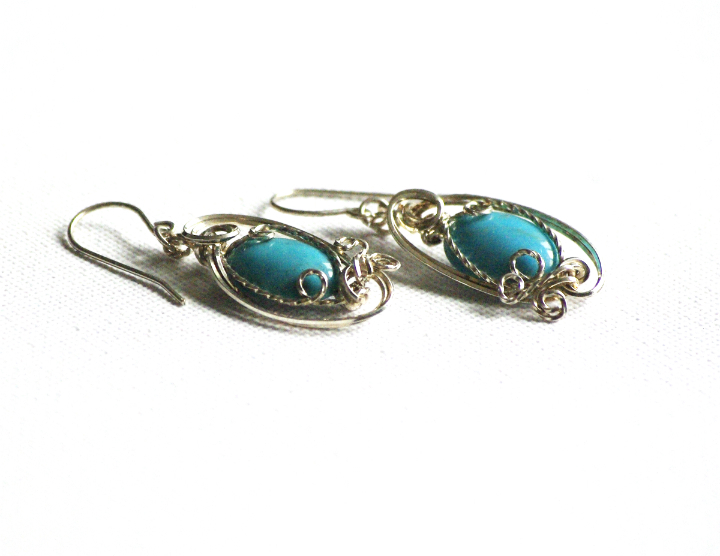 Fancy Turquoise Earrings in Sterling Silver - These earrings are really awesome! Their fancy enough to wear with your evening dress and casual enough to wear with jeans. Genuine Turquoise gemstone cabachons with .925 sterling silver fancy wire wrap setting. Click here to see more info.